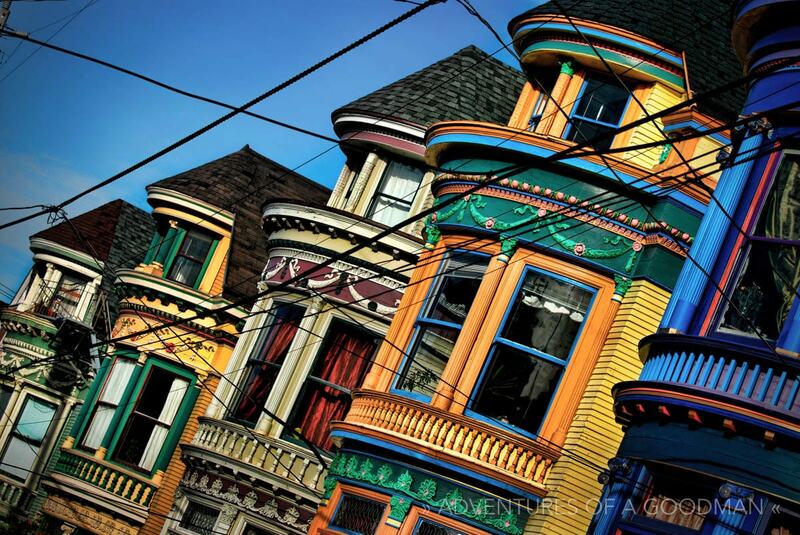 Best known for it’s integral role in the 1960s hippie revolution, San Francisco’s Haight-Ashbury it still a magnet for travelers, drifters, tourists and hippies of all ages, shapes and sizes. From 2009-2012, it also was my home. Before moving to San Francisco, the only neighborhood I could name was Haight-Ashbury. That made it all the more perfect when my fiance, Carrie, found us the perfect place to live on a quiet tree-lined street called Delmar in the Upper Haight district before I even got here. 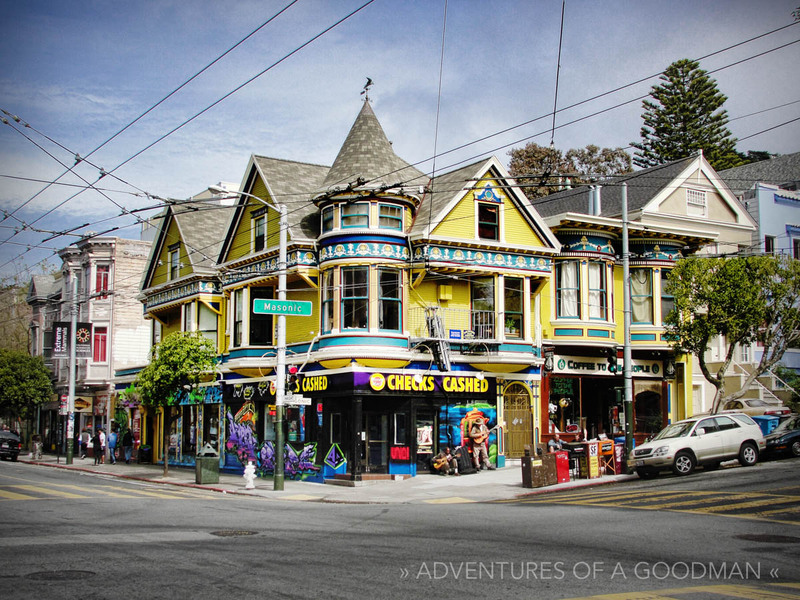 By day, tourbuses and visitors pack Haight Street, pausing to take a photo in front of the Haight-Ashbury sign or to hit up a head shop, restaurant, souvenir store or trendy boutique. Local musicians spread out their tip collectors and a few scattered hippies roam the street. Once the sunsets, the tourists dissipate and the rest of the hippies emerge from Golden Gate Park, where they spend their days hanging out in the shade, and take to Haight Street for the evening. I’ll interject here and stress that I write about and use the term hippie lovingly throughout this story. These free spirits come from far and wide for the chance to spend time living on the streets of the fabled Haight-Ashbury. After spending a lot of time chatting with the street’s ever changing population, I’ve noticed a few trends in their reasons for being there. Waccha Doin? Who Ya Doin it With? Sitting, standing or walking, one rarely spots a pair of dreadlocks without another by its side. Groups organically form at random spots on the street and dissipate just as quickly. Sign making is an art among the hippies, as they know all it takes is a good laugh to get a passerby’s donation. Topics of conversation range from the plight of the world to aimless banter to shared memories of a previous meeting at one of the other locations on the self-titled Pacific Coast Hippie Trail. These groovy gathering grounds consist of anywhere like-minded people can congregate, such as Portland, Berkeley, Santa Rosa and much of Mendocino County. The hippie scene in Haight-Ashbury often reminds me of the backpacker scene I exist in while on my extended travel adventures. That’s why I feel a sort of bond with the people I talk to on the street and understand their desire to spend each day experiencing something new. There’s no better place to be than Golden Gate Park on a sunny afternoon. On Hippie Hill, one is sure to find a drum circle beating away and flowing dresses swirling around in front of them. At times, the circle gets so loud that I can even hear it from my home ten blocks away. Once a year the masses descend on Hippie Hill for the annual 4/20 celebration. It’s a scene like no other that can only be a small glimpse into what living in the 1960s must have been like. Dalano and Crew at the Golden Gate Park 4-20 Celebration. So kick back, put on some Greatful Dead and have a look at the flow of life on Haight-Ashbury today. Where is your favorite hippie hangout?